Designing a bathroom? 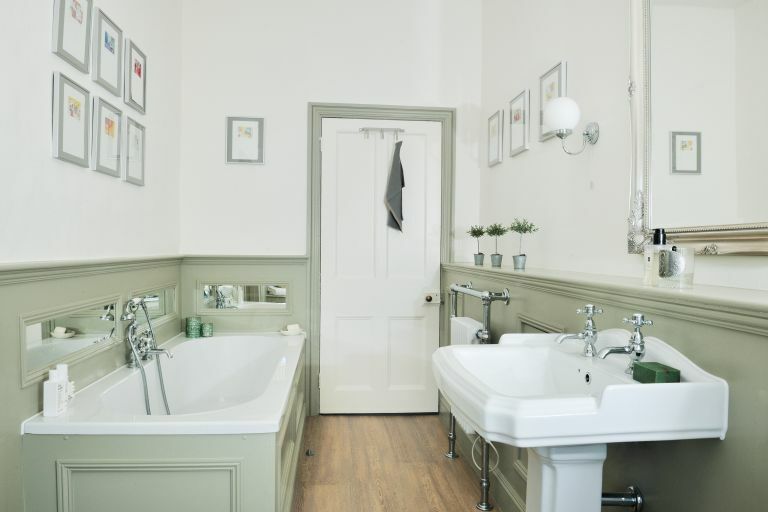 Take a look at this modernised bathroom with traditional elements, one of our many real home transformations. ‘When my husband Riaz and I started our bathroom renovation, there were the usual design decisions to make and questions to consider,’ recalls Aliki. ‘What scheme would fit in with the style of the property? What colours should we choose? How did we want to use the space?’ But, as their home is a Grade I-listed castle dating from the 12th century, there was arguably even more pressure to get the design of the space right. ‘It’s all part and parcel of working with such a historic backdrop, but getting the right help and advice while working through a project like this also made the design and refit process as easy as it could be,’ Aliki explains. Aliki and Riaz were also fortunate to be able to remain living on site while the project was completed. ‘It was part of a two-bathroom refit that took six weeks in total,’ says Aliki, who was on hand throughout the process to oversee installation.